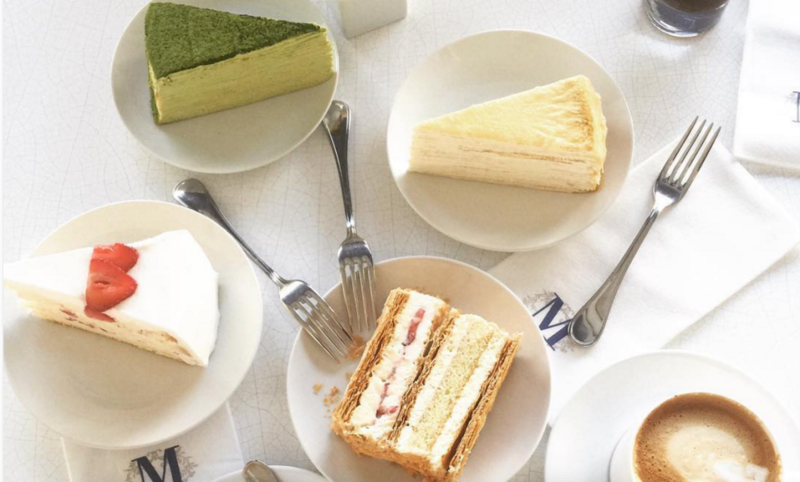 In case you haven’t heard, Lady M–the cult-favorite bakery known for its mille crepe cakes and green tea confections–is opening up a location on Newbury Street in February of 2016, according to Eater Boston. But you don’t have to wait until then to get your hands on their famous desserts. Starting on December 23, Lady M will have a pop-up in Chinatown where you can pick up cakes, crepes, and other tasty treats on the go, Eater Boston reports. The pop-up will run out of Chatime Fusion Tea House on Harrison Avenue. Orders must be placed over the phone, which makes this whole operation even cooler, in some way. Peruse the menu options on Lady M’s website, and get ready to call 617-329-5555 on December 23 to order your weight in cake. The Newbury Street location of Lady M is the bakery’s 10th location worldwide. Keep an eye on their Twitter and Instagram for updates about their soon-to-be-unveiled Boston storefront.